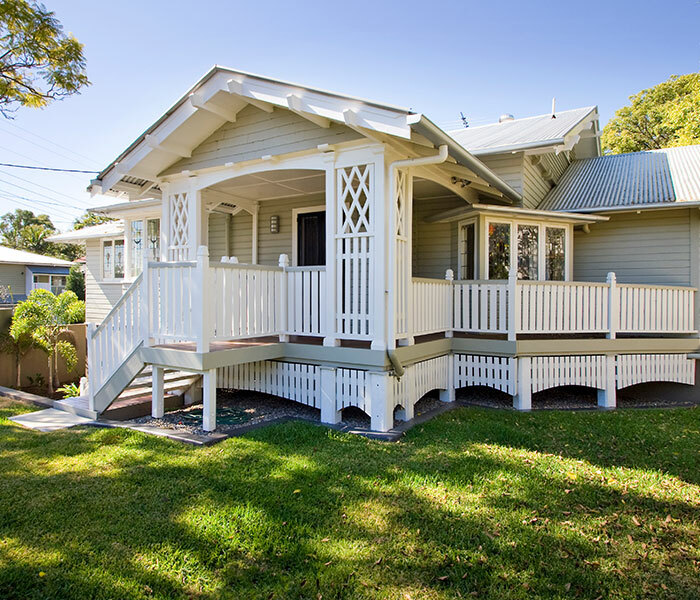 The Queenslander home comes in many guises, from high-set bungalows and federation, pre-war and inter-war styles, often incorporating two or three gables, flanking verandas and sleep-outs. 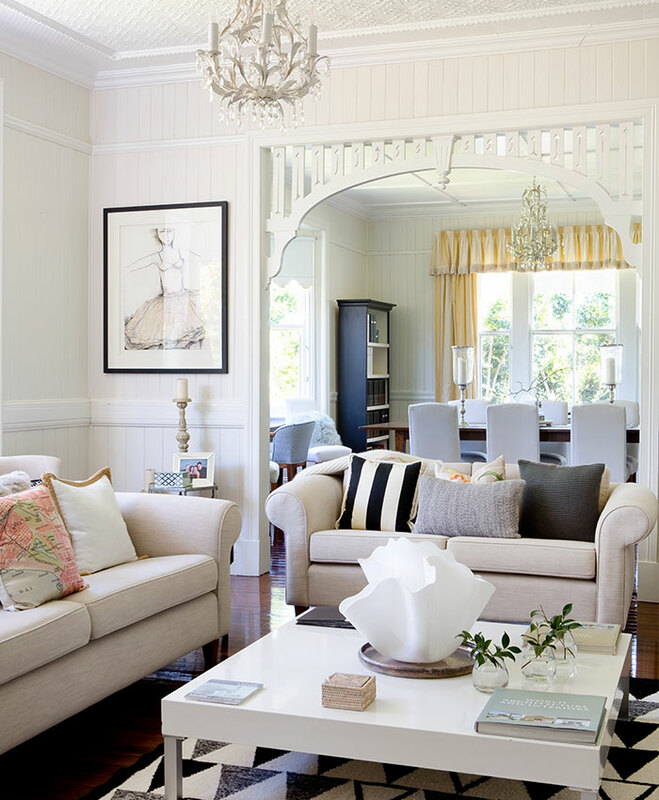 Whether you look to extend the indoor space by making the layout more open plan or utilise the dead space under the house, thereby creating a multi-level dwelling, there’s plenty of clever ways to bring the classic Queenslander into the now. 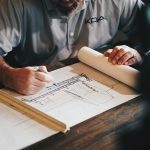 Surround yourself with creative, innovative and strategic minds when recruiting your design and build team – they will govern how smoothly your renovation will run, so choose well. 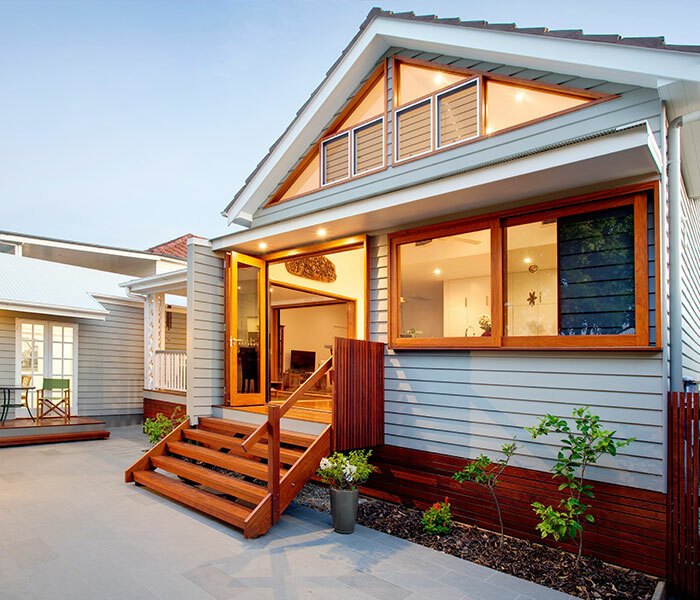 There are many architects and builders who specialise in Queenslander home renovations. Their ability to understand the pros, cons, and potentials mean that you can trust that your new home will be in the very best of hands. 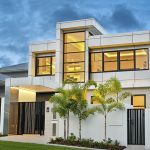 Dion Seminara is a local Brisbane architect who, among his many contemporary projects for dion seminara architecture, also specialises in the re-design of Queenslanders. He says the key to a successful renovation all comes down to understanding your lifestyle needs and talking to your architect about how best to improve your home’s unique features. 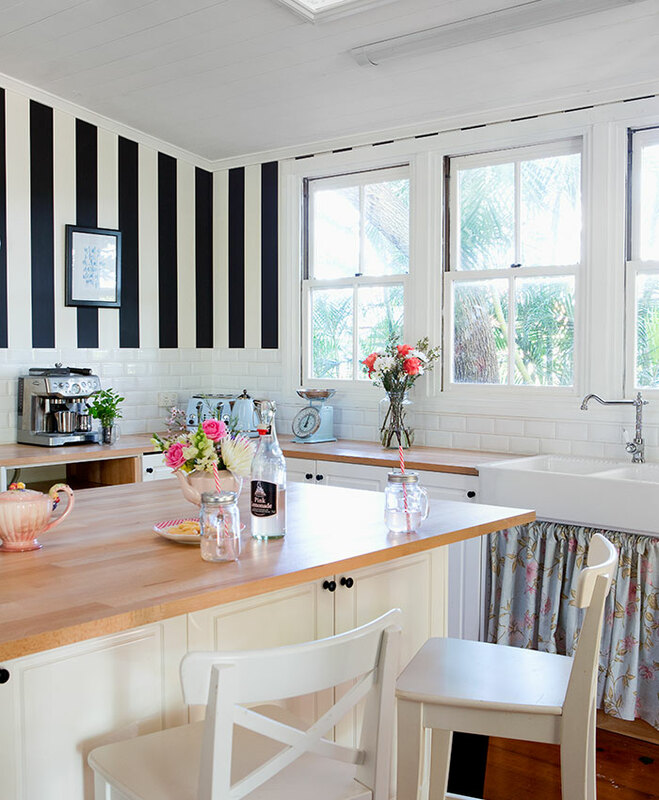 He also adds that, as in all styles of home, it’s potentially better to separate the main living area away from the kitchen – which is where the Queenslander shines. “We have found of late many of our clients are wanting this kind of layout – which is perfect as most Queenslander homes are already set up that way, with the kitchen located close to internal and external dining areas.” Opening up the kitchen allows for much more practical living and layout options. Before you purchase or begin your renovation plans, be sure to call a local town planner to check on the relevant building and suburb restrictions. Check if the home is listed on any character or heritage registers. If so you may need to organise permits from the council to allow renovations to begin. And essential before beginning any renovation is a comprehensive asbestos check! 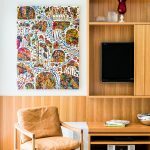 Asbestos was used throughout the building of homes up until the mid-1980s and, as with any kind of renovation, you’ll need to make sure that your Queenslander is not riddled with the material. Although not harmful unless airborne, it’s recommended that it’s removed before renovating begins (not during! ), by a professional asbestos specialist with an ‘A’ class removal license. 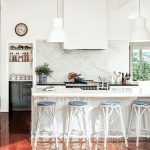 Queenslanders have the ability to lure you in with their good looks, but unless you’re buying an already renovated home then expect to have a large task at hand – these homes are often begging for attention in areas that you didn’t even realise may need it. 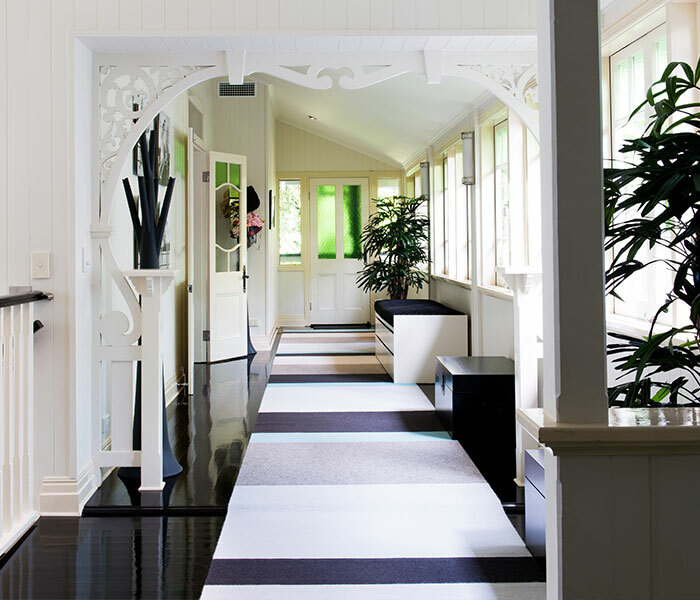 Despite the Queenslander’s feeling of grandeur they are in fact limited in space and (depending on their era) can be limited in temperature control – they can be too cold in winter and too hot in summer, provide limited light, space and storage options, and can be lacking in many key design areas. The floor plan normally consists of only four to six rooms in total and does not allow for the light and spacious living we tend to crave these days. These are all problems that can be remedied with the help of an experienced architect or building designer. 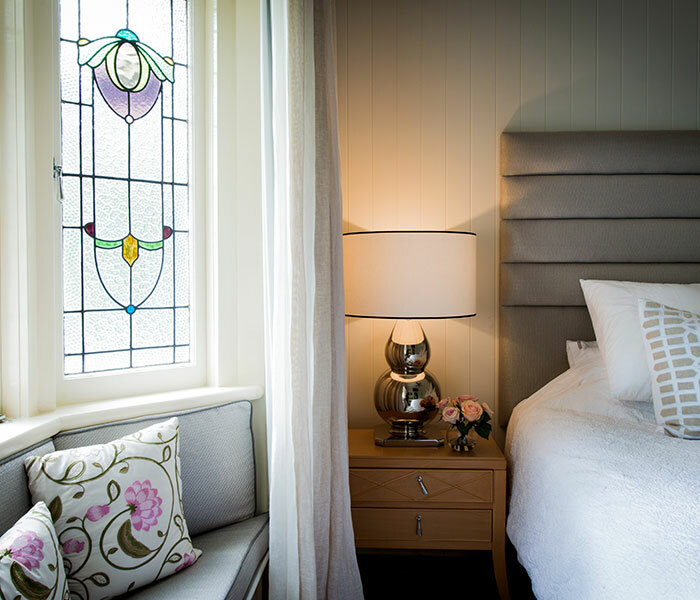 The double hung windows and traditional casement windows typical of the best of Queenslanders are definite redeeming features, as are the impressive ceiling heights common in those Queenslanders with that much sought after, steeply pitched roof. 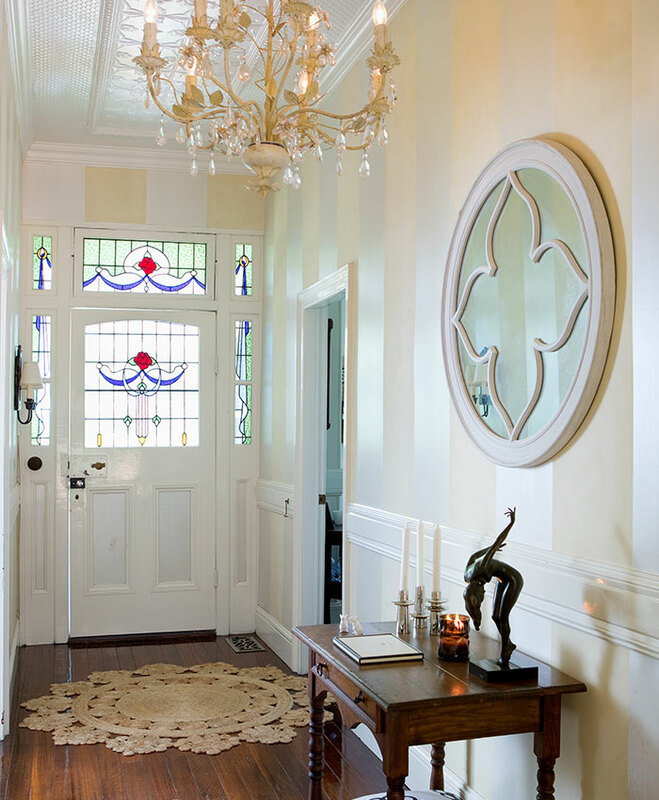 “The high ceilings that are part of Queenslanders is the main benefit of these homes – and many of the 1920-30s homes have the casement windows which offer direct ventilation into the home. Screening isn’t an issue with retractable screens,” adds Dion. 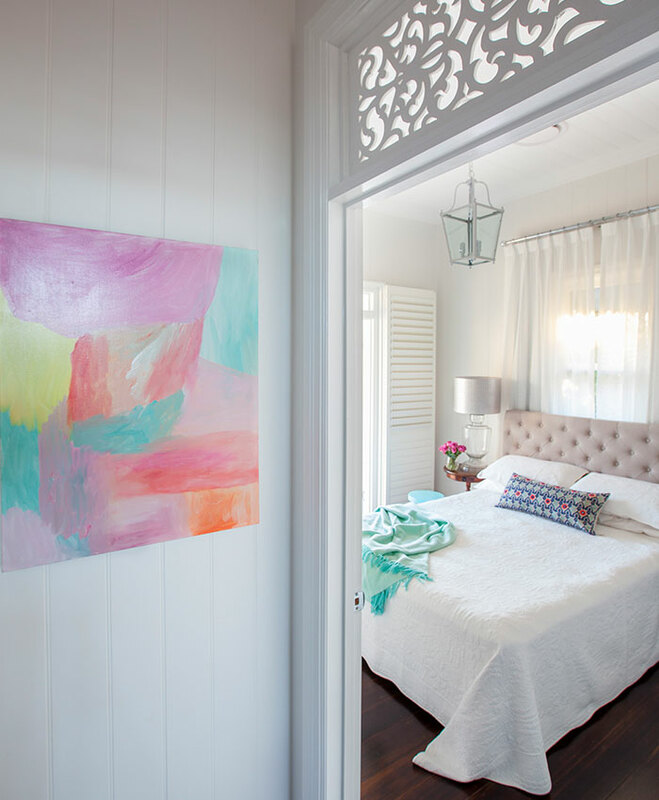 Restoring a Queenslander takes blood, sweat, tears and an undeniable love for this style of home. And it’s all worth it once you unveil a space that evokes a sense of history, filled with warmth, charm and a point of difference.